For those couples who have reached an impasse in their marriage and have decided that it is best if they separate, a decision must be made regarding what will happen to the marital home in which they lived together. In these tough economic times, when properties are not appreciating like they did in years past, dividing the marital home has become a tricky endeavor and in many cases, quite a burden. Many couples today who are divorcing have to determine if one spouse can afford to retain and maintain the home that was highly likely purchased during the marriage based on a two salary income. Quite simply: if one spouse is willing and able to keep the home and continue making mortgage payments while the other spouse is in agreement (and in a position) to move out, the obvious option exists to refinance the mortgage in order to remove the relocating spouse from the loan documentation and, in doing so, absolving the him/her of any responsibility (financial or otherwise) regarding the marital home. Sometimes, however, it may be quite desirable for the spouse with a lower income to remain in the home (typically the wife) for the sake of continuity for any children born of the marriage. At first glance, this situation seems fraught with difficulties and heartache. Luckily, it may be possible but just not as cut and dry as the couple may wish it could be. In years past, when a couple divorced, the marital home was either put up for sale (and when sold, any profits were divided between both spouses), or the home was bought out by one spouse, giving the other spouse ample money to move forward in finding a new place to live. These days, a third option does exist for divorcing couples who wish for one spouse to remain in the home even though s/he may not be able to afford the mortgage payments alone. This solution comes in the form of joint ownership of the home until it becomes financially possible for the spouse remaining in the home to take on the mortgage alone. This may be a less than desirable solution for couples who wish to separate not only in body but also in property. However, as today’s job market and economy are still sluggish and slowly recovering, remaining joint owners of the marital home while going through a separation and divorce may make the most financial sense for many couples. This does not necessarily mean that the couple must remain living together in the marital home. Typically, one spouse will be able to find affordable housing nearby, or stay with family or good friends until the marital home can either be sold or transferred to the remaining spouse alone. Have you recently gone through a situation like this? If so, we’d love to hear your opinion and resolution in the comments. If you or someone you know is currently considering marital separation or divorce and needs help keeping their home, we can help. 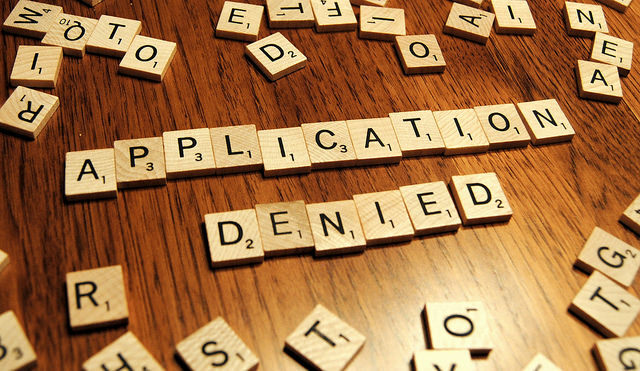 Denied a Loan Modification? Know Your Options. For many distressed homeowners, the idea that there may be light at the end of the tunnel keeps them going. Many homeowners who want to keep their homes decide to apply for a loan modification from their mortgage lender. 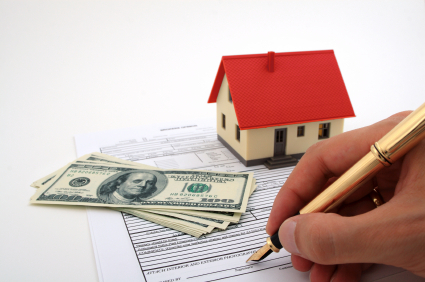 A loan modification application should be submitted with the help of a NJ attorney who has experience in real estate matters. By applying for a modification to your current mortgage loan, you’ll essentially be asking your bank or lender to make some changes to your loan that would make sense in order to help you keep your home. Some changes include: lowering the principal amount due on the loan, extending the life of the loan by a few years, late fee forgiveness, and (sometimes) a lower interest rate. A lower interest rate can usually only be obtained with mortgage refinancing – during which the borrower is given a completely new loan and the old mortgage loan is null and void. Your lender will approve your loan modification application on a trial basis before it can become permanent. This allows the lender to be sure that the modifications are sufficient and appropriate, and ultimately, that you are able to make good on your end of the agreement. Usually, the trial period lasts anywhere from three to six months, and applicants must be sure to make their trial payments on time and in full. Usually, the practice is that when the applicant meets all of the conditions set out in the Trial Period Plan (TPP), the trial modifications become permanent, and the loan modification is officially granted. I Complied with the Rules in My TPP but was Still Denied a Loan Modification! Until recently, borrowers who felt they were wrongly denied a loan modification under the federal Home Affordable Modification Program (HAMP) had no legal course of action. Even if their bank or lender obviously violated the rules set out in HAMP, borrowers who were (wrongly) denied loan modifications really couldn’t do a thing about it! Recently, however, it has been upheld in the NJ Appellate Division that borrowers who were denied loan modifications erroneously (through no fault of their own) can now pursue state law claims against the lender in question. It has been set out that a written trial modification plan (a/k/a trial period plan; TPP) does indeed constitute an official offer by the lender in question to then make permanent loan modifications if and when the borrower follows the TPP completely. This is good news for distressed home owners who have applied for and been granted loan modifications on a trial basis only to be denied the ability to make those modifications a permanent part of their mortgage loan. Several court cases have already surfaced regarding this issue. The decisions offered up do state that no borrower has a “right” to being granted a loan modification. However, they also state that if a lender offers a borrower a trial payment period with a promise in writing to permanently modify the loan if all terms of the agreement are met, that the lender shall be required to acquiesce. It was also noted that lenders must use clear language in any trial payment period agreements that they draw up so that borrowers have full understanding of precisely what is required in order for their trial payment period to become a permanent loan modification. If you think you may benefit from a loan modification, you can learn more at: Buying, Selling & Keeping Your Home – A Real Estate Seminar for Everyone, April 25, 9:00AM-1:00PM. You can also call our office for a free consultation if you would like to discuss applying for a loan modification or if you feel you have been wrongly denied one. Going out to purchase your New Jersey home together with your spouse, you likely didn’t give one thought to what would happen to your dream home in the event of divorce. Most married people don’t see themselves splitting up, but the unfortunate reality is that it does happen to some couples. If you have found yourself separated and/or divorced and wondering what on earth happens next regarding the family home, rest assured that there are some things you can do to make this transition easier. If the split was amicable, sit down with your soon-to-be ex-spouse and discuss what you both would ideally like to do with the property. Hopefully you will both agree, and can take steps toward writing your Property Settlement Agreement together. By working closely with a NJ real estate attorney who specializes in keeping people in their homes, you’ll learn about all of the options available to you. If you had been married for a number of years, it is possible that you may have to re-learn how to live on one salary. In fact, it’s very possible that you weren’t even involved in taking care of the finances at all. The first step in determining whether or not you can legitimately afford to stay in your home after your divorce is to take a good, hard look at your budget. You must determine exactly how much cash flow you have coming in every month (your income plus any spousal or child support, if applicable). Next, make a very detailed chart of what goes out (your monthly expenditures) – from all of your utility and auto bills all the way down to your newspaper subscription. Include the mortgage payment when calculating your outgoing bills. After you’ve run all of the numbers, if you come out with money left over – congratulations! It looks like you’ll have no problem retaining the family home. Removing your spouse’s name from the mortgage documentation will be the next step for you. Let’s say you didn’t end up with any surplus after figuring out your monthly budget. Does this mean that you definitely cannot afford to stay in your home, which would give you and your (potential) children stability during this tumultuous time? This is where your real estate attorney comes in. There are a variety of ways to keep your home even when it seems like the impossible. You may qualify to modify the original loan by extending its length, lowering the principal amount due, forgiveness of late fees or a lower interest rate. All of these may make your mortgage something you can legitimately afford. If you make enough money on your own, you may be able to completely refinance your mortgage, thereby putting the mortgage in your name only. Mortgage refinancing will result in a brand new loan, making the old one invalid. It’s best to go this route when mortgage interest rates are down, and if you have a very good credit score. 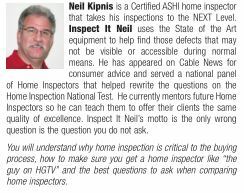 Want to learn more about how to keep your home? Interested in investing in real estate? Want to learn how to buy foreclosed properties and flip them for profit? 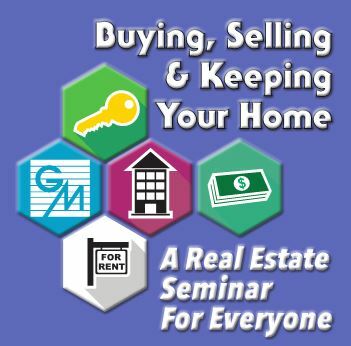 Come out to the Real Estate Seminar for Everyone this Saturday, April 25th at 9:00AM. Click here for tickets and more information. As a real estate agent or broker, we know that you are out there on the front lines, day in and day out, attempting to match your clients with the perfect homes, and vice versa. You likely have a multitude of clients at any given time, and you may feel like you’re performing a juggling act some days. Since most real estate agents work on a 100% commission basis, we understand JUST how important it is for you to close deals for your customers. Your daily list of responsibilities as a buyer’s agent includes meeting with clients to discover what type of home they’re looking for, generating suitable lists of potential homes for said clients, working with other agents or brokers to set up viewings, and negotiating on your client’s behalf. We also get that sometimes your clients may have more questions than you simply have time to answer. This usually applies to first-time home buyers or those who are financially distressed. This is exactly where we come in. Here at Veitengruber Law, we specialize in helping people who are dealing with some degree of financial difficulty. We give counsel regarding filing for bankruptcy, and we offer foreclosure defense services. How we can most likely help you is by counseling your current and potential clients regarding their upcoming home purchase. We can also help you by taking care of some of the nitty gritty details involved in each and every sale, like title searches, tax appeals, and negotiating with mortgage companies. We take networking very seriously here at Veitengruber Law. We are extremely proud to work with a variety of professionals in order to help our clients and your clients most effectively. Naturally, we love to have solid professionals in our network so that we can also send our clients TO YOU when called for. We have a high number of clients, and many of them are in need of a realtor’s help. By working together, our firms can assist more people more efficiently. And by helping our clients, we will also help each other. Please connect with us on LinkedIn, and reach out to us when the time is right. Real Estate Closing Costs: What are They and Who Pays? If you’re in the process of buying or selling a home or property in New Jersey, you’ve undoubtedly discovered the inherent connection between real estate transactions and finances. Real estate transactions also typically include a considerable amount of paperwork that can easily become confusing and overwhelming. Because of this, it is important that you work closely with an attorney experienced in NJ real estate matters. By choosing to work with an attorney throughout your real estate transaction, you’ll be secure in the knowledge that the outcome will be beneficial to you. You can also rest easy knowing that you have a legally qualified advocate by your side to answer all of your questions about the process. 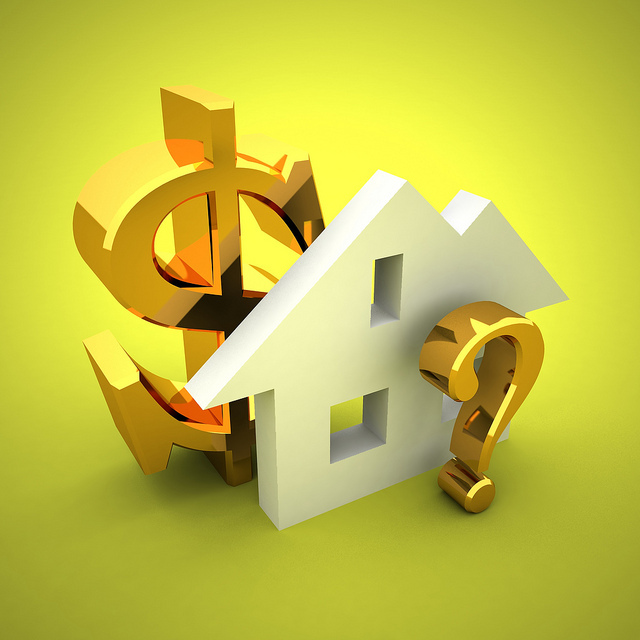 One of the most frequently asked real estate questions involves closing costs. Most people have at least heard of closing costs, but many don’t have a working understanding of what they represent, why they’re necessary, and who is responsible for paying them (the buyer or the seller). 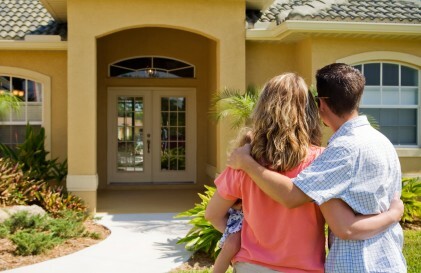 First, let’s discuss the definition of closing costs in a real estate transaction. Aside from any down payment you may make on the home, closing costs are a one-time payment for line-item fees that you’ll pay on the date the home officially becomes yours. This date is when the ‘closing’ will take place. The closing is a meeting the will include you, your real estate agent, your attorney, and sometimes the lender and the seller, along with their attorney. 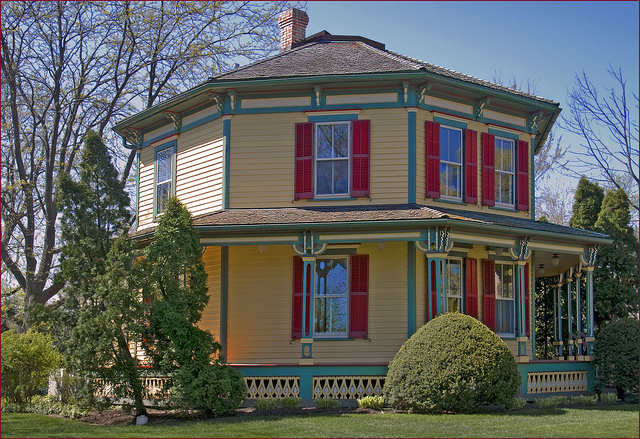 Appraisal fees – An appraisal is required by many lenders in order to verify the sale price of the home. Transfer taxes – Fee paid to the government any time a property title changes hands. Loan origination fees (“points”) – A form of pre-paid interest paid by the buyer to the lender in exchange for a lower interest rate. Escrow fee – Paid by the buyer to the title company or escrow agent for the handling and processing of all documents and monies related to the purchase. Title search fee – Paid to a title company or attorney for the necessary research to verify that the seller is indeed the legal owner of the property. Property taxes (pro-rata) – A percentage of the property tax that is proportionate to the amount of time out of the current year that the buyer will own the property. Private mortgage insurance – Required by lenders for buyers whose down payment is less than 20%. You may have to pay up to one year’s PMI at closing. Although buyers have a multitude of line items to pay for at closing, many of them are negotiable and may be partially or totally paid for by the seller in order to guarantee the sale of the home. 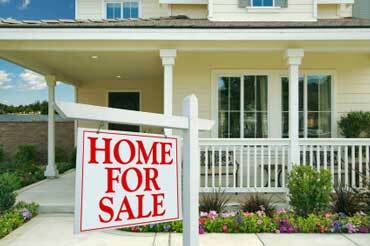 Sellers are required to pay a lot less closing cost line items. However, the one thing they are required to pay for is the commission of the real estate agent, which is a significant chunk of money. A real estate agent’s commission is a percentage of the final sale price of the property and is usually non-negotiable. In addition to the closing costs listed above, there are some additional fees and costs that may be incurred at the time of closing. Avoid unpleasant surprises by working closely with your attorney during the process of buying or selling your home. Have you always dreamed of owning your own home? For many people, first time home ownership can be daunting, and may seem like it’s always just slightly out of reach. Perhaps it’s been a lifelong goal of yours to take the leap into investing in real estate. Although it can be a very profitable endeavor, there is a lot to learn about the buying and selling process before jumping in! You may already be a homeowner but have found yourself struggling to make your mortgage payment every month. If this is the case, you need information you can trust about what to do in order to keep the home you worked so hard to buy. 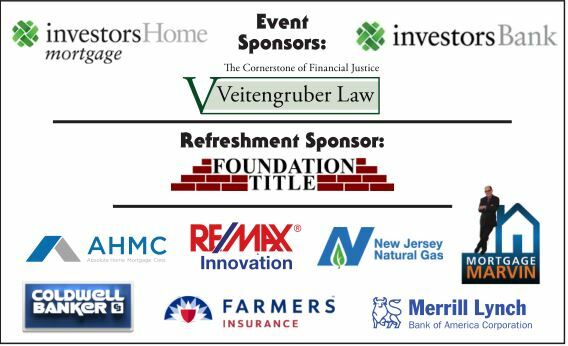 If you fit into any of the three categories above, you are a great candidate for the upcoming real estate seminar presented by the Greater Monmouth Chamber of Commerce. Why: You’ll learn all about the process of becoming a first time homeowner, including credit readiness and financial planning. 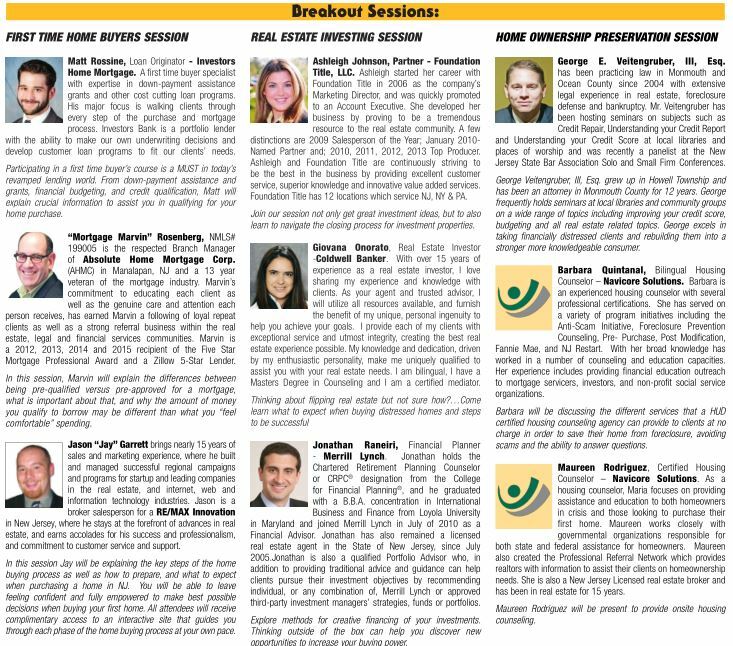 Also presented in break out sessions will be: how to successfully invest in real estate, what to expect when purchasing and flipping distressed homes, buying and selling homes that are in foreclosure, as well as how to successfully modify your mortgage so that it works for your life. Who: Anyone with an interest in learning about these topics is welcome to attend. 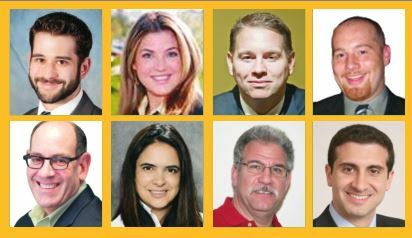 A keynote speaker along with ten experts in different areas of real estate will present and work interactively with the attendees so that everyone leaves feeling empowered to make excellent real estate decisions. Veitengruber Law will be represented by George Veitengruber, Esq. in the Home Ownership Preservation breakout session. George brings his extensive legal experience in real estate, foreclosures, bankruptcy, and credit repair to the table. He will be joined in his session by Barbara Quintanal and Maureen Rodriguez – Certified Housing Counselors for Navicore Solutions. If you’re interested in the Real Estate Investing session, you’ll have the chance to work closely with Ashleigh Johnson – a partner at Financial Title, LLC, Giovana Onorato – Expert Real Estate Investor, and Jonathan Raneiri – a financial planner with Merrill Lynch. The First Time Home Buyers session will be led by Matt Rossine – a loan originator with Home Mortgage, “Mortgage Marvin” Rosenburg – branch manager of Absolute Home Mortgage Corp., Jason Garrett – RE/MAX broker/salesman, and Neil Kipnis – certified ASHI home inspector. Not only will you get a ton of expert information, but this workshop will also have FOOD! A light breakfast along with snacks and drinks will be available. There will also be GIFT BAGS and door prizes. Will My Credit Score Drop if My Car is a Lemon? If you’ve purchased a new car in recent years, you more than likely expected to have zero problems with it. After all, that’s the main purpose of putting out the money and extending your credit for a brand new vehicle: reliability. After successfully managing to negotiate with your car dealer, being approved for an auto loan, signing all of the necessary paperwork and starting to make your new monthly payments, it can be a huge downer if your car starts to have issues. The only thing you probably thought you’d have to do for your new car (at first) was taking it in to the shop for regular oil and filter changes. Naturally, all new vehicles are now covered by warranties that put the onus on the dealership to fix any problems without charging you a fee. In theory, that’s all well and good, and of course does give new car owners some degree of peace of mind. However, what if your brand new car starts to have a multitude of problems, and your dealership just can’t seem to fix them, even with repeated attempts? As well as being a huge disappointment (you just bought a new car that is potentially less dependable that the old jalopy you were driving), the fact that it seems as though your car literally cannot be repaired can start to make you a little nervous. Will I Have to Continue Making Payments on a ‘Lemon’? It can be very upsetting to realize that you are the not-so-proud owner of a ‘lemon.’ You may be worried that you’ll be stuck making payments on a non-functional vehicle. On top of that, if your car is non-functional, will you have to attempt to buy yet another vehicle, leaving you with two car payments??? Lastly, and most importantly, how will all of this affect your credit score? Its problem(s) are causing the car to be unusable or unsafe. If you purchased a vehicle that meets all of the above criteria, it is likely a lemon, which means you will be able to seek recourse using your state’s Lemon Laws. 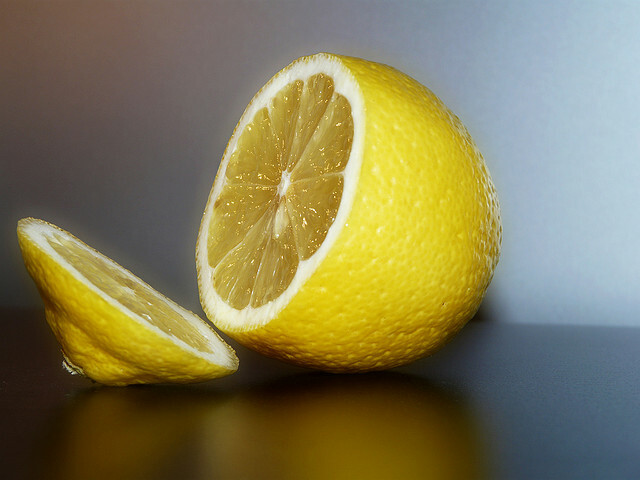 As there will be some negotiations involved, it is advisable to seek out an attorney who is familiar with Lemon Laws to help you. The vast majority of people who inadvertently bought a Lemon are able to recover what is essentially a refund from the dealership. Almost all costs associated with the purchase of the vehicle can usually be won back, with a small fee sometimes charged for mileage put on the car during your ownership. Your credit score should not drop because you bought a faulty vehicle. However, keep a close eye on your credit report around the time of your Lemon Law case, to ensure that it remains error-free. Do you know how much money your credit score might be costing you? If you have a good to excellent score, you don’t have much to worry about, but if your score is in the ‘poor’ or even ‘fair’ range, your jaw will drop when you learn how much money you’ll potentially be throwing away. Most people understand, at least on some level, that your credit score can have a significant effect on your ability to buy a house, a car, and potentially rent an apartment. A really low score can conceivably affect your potential job prospects, depending on what field you’re working in. Even if you comprehend just how far-reaching the effects of your credit score are, do you fully grasp just how much money a lower score is going to cost? FICO scores are calculated by pulling information from different areas of your financial history. Smart financial decisions as well as money mistakes are both taken into consideration when formulating your credit score. Your payment history (if you’ve had any late payments and how many), how much debt you carry in relation to your available credit and income (debt-to-income ratio), the length of your credit history, the number and types of credit you use, as well as any new applications for credit – all have an effect on your overall credit score. Every lender may potentially have a slightly different credit score chart, but for the most part, if your score stays above around 760 or so, you’ll be eligible for the best interest rates everywhere. Want to buy a car or a home? With an excellent credit score comes an excellent interest rate. The same holds true in reverse, as well. A credit score that falls into the ‘good’ range will grant you a decent interest rate, but not the best. Maintain a ‘fair’ credit rating (in the mid-600s), and you’ll likely still be able to borrow money, but at an incrementally higher interest rate. Poor credit? Qualifying for a substantial loan will be exceedingly difficult, and if you do qualify, your interest rate will be sky high. 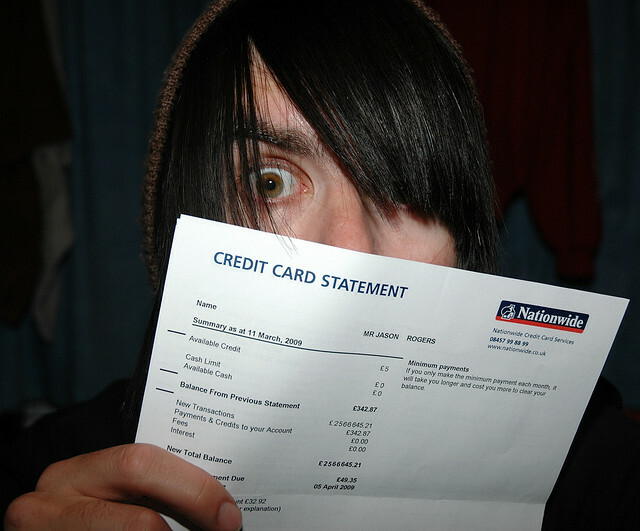 Just How Much Money Will a Low Credit Score Cost Me? Ok – imagine this. You’ve maintained what you consider to be a ‘decent’ credit score – around 650, give or take. According to FICO and most lenders, your score falls into the ‘fair’ category, which means you likely made a few poor money decisions in the past, along with some responsible choices, as well. Let’s assume you decide to purchase a home, maintain a vehicle, and have several credit card balances that you make regular payments on. When you are approved by the aforementioned creditors, you’ll receive an interest rate that may seem reasonable. However, over the course of your lifetime, the interest that accrues at your rate can add up to a SIGNIFICANT amount of money. If you’ve purchased an average home in New Jersey, you’ve likely borrowed at least $300,000. Buying a car every few years tacks on an additional $120,000 – $160,000 in borrowed money. With a ‘fair’ credit score, you’ll be paying out around $285,000 in interest alone! Borrowing the same amount of money with a ‘good’ credit score, you’d pay somewhere around $239,000 in interest – a savings of $46,000. An excellent credit score would save you even more money in interest – around $70,000. When you break it down like this, it’s really easy to see just how important it is to have a great credit score. The savings in interest alone should be enough to motivate you to take the necessary steps to raise your score as high as you possibly can.